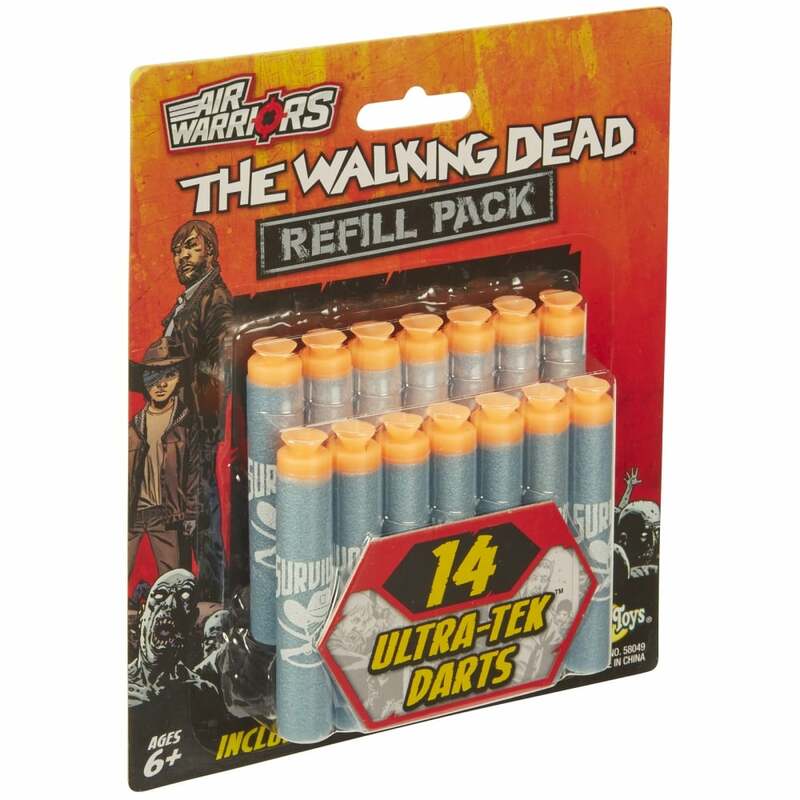 The Walking Dead 14 ULTRA TEK Dart Refill Pack is your ammo of choice when joining Rick Grimes and his team of zombie hunters. The foam darts are designed to fly extra far and fit into all of The Walking Dead blasters. And with the ability to blast up to 72 feet, you can take out the Walkers from a safe distance. Includes 14 ULTRA TEK foam darts.